Recruitment strategies are changing. Interview types have and continue to evolve. So, let’s see … we have Skype teleconferencing and video interviews, one-on-one meetings, panel interviews, lunch meetings, situational interviews, and behavior-based interviews to name a few. Below we have provided an overview of some common interview types with a few tips on how to approach them. As (AI) artificial intelligence continues to pick up steam in the hiring process, job seekers will notice an increase in chatbot engagement during preliminary screening phases, information gathering, skills, and knowledge testing. With the evolution of technology, recruitment processes are becoming more efficient, streamlined, and scalable to provide a better experience for both the candidate and prospective employer. The phone screen helps employers to filter out candidates they want to interview face-to-face. Though this call may run 20-25 minutes, it is a very important aspect of the hiring process. Therefore it is wise to schedule the phone screen at a convenient time—when you will be uninterrupted and have reviewed your executive resume jobs or IT Director resume details. Remember, the resume is the document that we are referencing during the interview, so at any time we may ask a question about an achievement or an area that you have called out in your resume. In many instances, job seekers will share details and/or mention situations that are not outlined in the resume we are referencing during the interview. Know your professionally written resume—and be prepared to effectively align problems solved, savings generated, and creative solutions implemented to the job you’re interviewing for. Record a professional voicemail greeting, and return the hiring professional’s call within 24 hours. Plan ahead and read the position description to highlight 3-4 job requirements mentioned; then review your executive resume to highlight and align 3-4 skills, relevant achievements, or qualifications to more effectively tailor your responses and present yourself as a good fit in the mind of the interviewer. 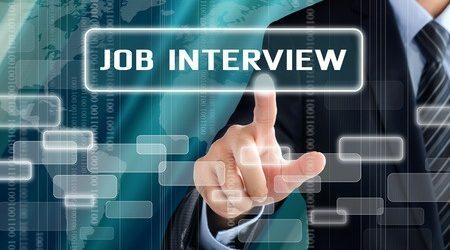 Whether you are relocating or interviewing with a company headquartered in a different state, don’t be surprised by a virtual interview. The planning process for this interview should be almost the same as for the face-to-face interview. Ways to succeed in a video interview include the following: Details matter; take pride in your appearance. Dress to land the Job. Research the company in advance of the interview via glassdoor.com or at indeed.com to get a feel for the culture. This may help to guide your decision in regard to whether a suit or khakis are appropriate attire. Arrange for an organized, distraction-free environment in which to conduct the interview. Test your equipment prior to the interview, and be sure to log on about five minutes before the interview is scheduled to begin. Remember to follow up within 24 hours after the interview with a thank-you letter. Sometimes companies want to get multiple perspectives on a candidate, save time, or determine how well you respond under pressure; thus they will conduct a panel interview with a committee or group of employees from the company. Remember to bring a sufficient number of resumes for the entire panel. Although only one panel member at a time will ask a question, be sure to acknowledge the entire group; make an effort to shake hands with, make continual eye contact, and build a rapport with everyone at the table. These interviews are designed to assess how you respond, and/or react in certain situations. In the event you are asked about a situation you have not encountered, be honest about it; however, use this as an opportunity to display some strategic, out-of-the-box thinking, and problem-solving skills. Share with the employer what you would do despite not having experienced this particular type of scenario. Though all interviews can be unnerving, this type of interview can increase the nervous factor, particularly when your communication skills, qualifications, and job fit are already being evaluated … and now your table manners also get thrown into the mix. Stay focused on being professional and considerate. Try to arrive early and wait in the lobby or vestibule area. Greet the interviewer with a firm handshake and make eye contact. Once everyone is seated, place your napkin in your lap and then look at the menu. Inform the interviewer if you have brought along a well-written executive resume written by a professional resume writing company, and allow him/her to decide when to discuss it. In terms of ordering your entrée, follow the interviewer’s lead regarding your entrée and dessert selection—and by all means, order a moderately priced item on the menu. Obviously you will want to steer clear of foods such as soups or smelly or crunchy items that might make it difficult to converse fluidly. Tip#1: Try reading the news before the interview just in case the discussion shifts toward current events. Tip#2: Remember to follow up within 24 hours after the interview with a thank-you letter, and mention the meal. This type of interview is designed to uncover how well you can think on your feet when dealing with stressful and/or unexpected situations. These interviews are a great way for the employer to determine your emotional intelligence, level of creativity, and ability to think on-the-spot—while maintaining your composure.